This month, Jenny Sealey will direct a production called A Different Romeo and Juliet, with an entirely disabled cast. This may not sound remarkable if you know Sealey’s work as the tireless artistic director of Graeae Theatre Company, but this particular production will be in Bangladesh. Sealey says that, before this show, there were “little or no opportunities for deaf and disabled people in theatre” in the country. The project forms part of the British Council’s Shakespeare Lives season, celebrating Shakespeare’s life and works around the world on the 400th anniversary of his death. It came about after Eeshita Azad, head of Arts Bangladesh for the British Council, visited the UK in 2012 and left inspired by the work she saw as part of Southbank Centre’s Unlimited festival of disabled artists. Back in Bangladesh, she convened a round table to consider how disabled people could become part of arts work – and one of the attendees was Bachchu Yousuff, who runs Dhaka Theatre Company. 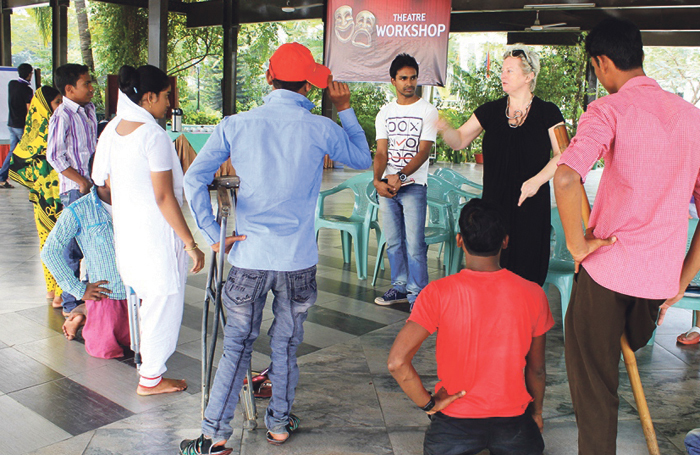 About 12% of people in Bangladesh are disabled – which in a population of 160 million people comes to a total of more than 19 million people – and DTC found no shortage of people keen to take part in Sealey’s workshops and potentially be cast in the production. As Azad points out: “The government has only recently started doing a census to find out what kinds of disabilities people have and how it affects their lives. Before that, there was a whole segment of the population who were almost invisible. How has Sealey managed to run an inclusive rehearsal room, especially in a country where drama training for disabled people is non-existent and there is an additional language barrier? “I work in the way I always work, but I take the cultural lead from them. In the rehearsal room, we mash up British Sign Language with Bangla Sign Language. We find ways of pushing the descriptive narrative for our three blind musicians, who then take the lead improvising sound and music to underscore scenes. We have also had various demonstrations of traditional Bengali theatre, which have, of course, influenced how we approach our production of Romeo and Juliet. 1. A Different Romeo and Juliet will be the first theatre performance in Bangladesh to feature an entire cast of disabled performers. 2. The production will have its premiere at Shilpakala Academy (the National Academy of Fine and Performing Arts) in Bangladesh on March 26, followed by a national tour, a TV screening and a documentary about the project for an international audience at festivals. 3. The British Council estimates that the project has the potential to reach more than 50 million people nationally and internationally. 4. Graeae, pronounced ‘grey eye’, comes from the Greek myth of the Graeae, or ‘grey ones’ – three sisters who shared one eye and one tooth. 5. 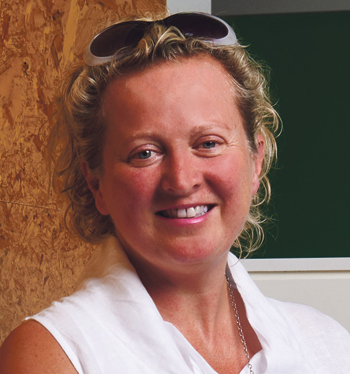 Graeae’s artistic director Jenny Sealey co-directed the London 2012 Paralympic Games opening ceremony (with Bradley Hemming of Greenwich and Docklands International Festival) and was awarded an MBE in 2009. Both Sealey and Azad are clearly driven by the fact that this project has the potential to change people’s perceptions of disability in the country. At the moment, says Sealey, “the discourse in Bangladesh is not dissimilar to how it was in the UK in the 1980s – very worthy, and all about the struggles of the disabled and what they can do”. “The main difference is around language,” she adds. “Bangladesh does not have a disability arts infrastructure or any awareness of the social model of disability. However, what is important here and now is that funding is secured for this production, to allow for good production values and continuous acting training between my visits. Sealey has worked internationally for many years, and working in other countries has advantages, she says, not least that it keeps her busy between UK shows. “The learning is always profound, but given that Graeae’s current funding only allows the company to do two UK-based productions every 18 months, the international work allows me the space to continue pursuing artistic endeavours, to try new things and to be inspired by new teams of people. This particular production has 15 disabled people on stage; the main characters are played by one disabled actor and one deaf actor.